Relieve and clear flaking and itchy scalps. Mild and soothing but highly effective hair care product. Leaves hair shiny and manageable, whilst quickly clearing it of irritation. Use daily to cleanse your scalp & thereafter at regular intervals as required to get healthier looking hair. To use: Apply daily to cleanse the scalp and thereafter at regular intervals as required. Apply to wet hair and lather well with a gentle kneading of the scalp. Rinse and repeat if necessary. An award-winning shampoo formulated specifically to relieve and clear flaking and/or itchy scalps. Careful research has resulted in a mild and soothing but highly effective shampoo that will leave hair shiny and manageable, whilst quickly clearing it of irritation. To use: Apply daily to cleanse the scalp and thereafter at regular intervals as required. Apply to wet hair and lather well with a gentle kneading of the scalp. Rinse and repeat if necessary. Directions: Apply Philip Kingsley Flaky Itchy Scalp Shampoo to your wet hair. Lather well with a gentle kneading of your scalp. Rinse & repeat if necessary. Follow with appropriate conditioner (see related products or the product selector) & Scalp Toner. Use daily to cleanse your scalp & thereafter at regular intervals as required. Suitable for use on colour treated hair. 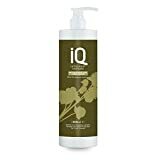 This shampoo for medium textured or wavy hair, gently cleanses and balances the different needs of your roots and ends. For example providing less at roots and more at dry, damaged ends. Containing wheat protein it helps to deliver the correct balance of moisture to your hair leaving it more manageable and lustrous. Its unique formula contains a natural antistatic conditioning barrier which helps smooth your hair’s cuticle to improve combing and condition, and also anti-oxidants for added protection. To use: Apply to wet hair and lather well with a gentle kneading of the scalp. Rinse and repeat if necessary. Hair fact: Apply to wet hair and lather well with a gentle kneading of the scalp. Rinse and repeat if necessary and follow with the appropriate Philip Kingsley conditioner and scalp toner. For coarse textured, or very wavy, curly or frizzy hair. Also suitable for Asian, Oriental and similar hair types. Cleanses gently whilst moisturizing, leaving hair soft, supple and shiny. Re-Moisturizing shampoo contains Elastin to improve the hair’s tensile strength, elasticity as well as its ability to retain moisture. The addition of Guar provides natural smoothing and conditioning effects. To use: Apply to wet hair and lather well with a gentle kneading of the scalp. Rinse and repeat if necessary. Hair fact: Daily shampooing is recommended for the health of the hair and scalp.